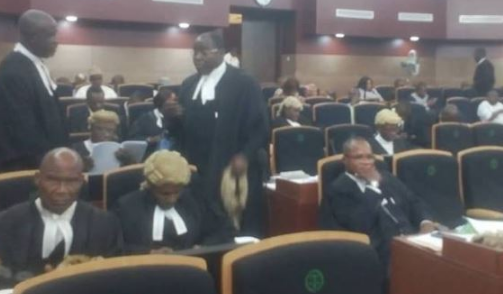 The Supreme Court of Nigeria on Thursday struck out the consolidated appeals of Rivers APC and Tonye Cole, the supposed factional candidate of the APC in Rivers State for lacking in merit. The Acting CJN said: "the Preliminary Objection is meritorious, accordingly the Appeal is incompetent and is hereby dismissed". Counsel to the PDP had urged the court to strike out the appeal or dismiss it in its entirety as the reliefs sought by the APC could only be granted at the court of appeal and not the Supreme Court. Earlier, Counsel to the APC, J.S. Okutepa (SAN) urged the Supreme Court to overrule its decision delivered in the consolidated appeals which held that the appeal before it was a pre-election matter. He argued that the Supreme Court could set aside its decision if it was taken contrary to the constitution. Counsel to INEC, Don Umalor, said INEC did not file any brief on the appeal and likes to remain neutral and non-partisan. He submitted that INEC leaves the matter to the decision of the court. INEC executed that order an excluded the APC from the ballot. 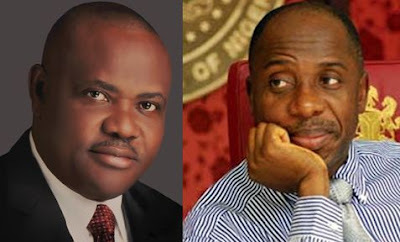 The elections have been concluded with the incumbent governor, Nyesom Ezenwo Wike duly re-elected.